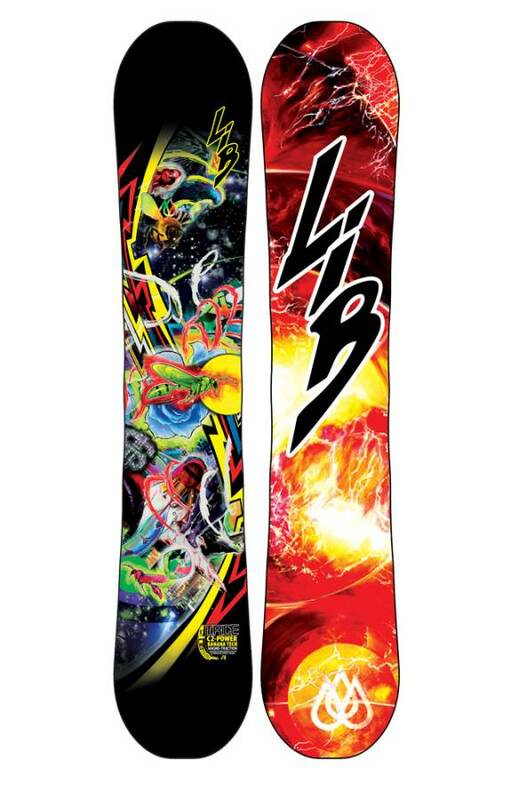 The Lib Tech Travis Rice Pro Blunt Snowboard is very similar to the pointy but it has the tip/tail chopped off. Despite that, it has a few differences and like all the boards they ride big for their size. The C2 Power BTX models are for sure the call over the C2 BTX and BTX models of the past. 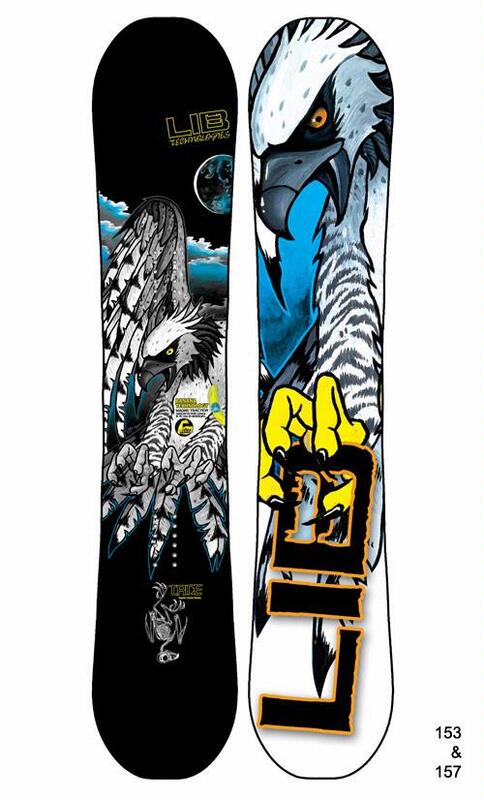 The 2013 to 2015 Travis Rice Pro Blunt’s aren’t very different except for the addition of a few more sizes. Conditions: One day with some soft snow and leftover thick powder, A day with perfect snow. 2 days with hard snow in the morning to pretty decent snow midday. 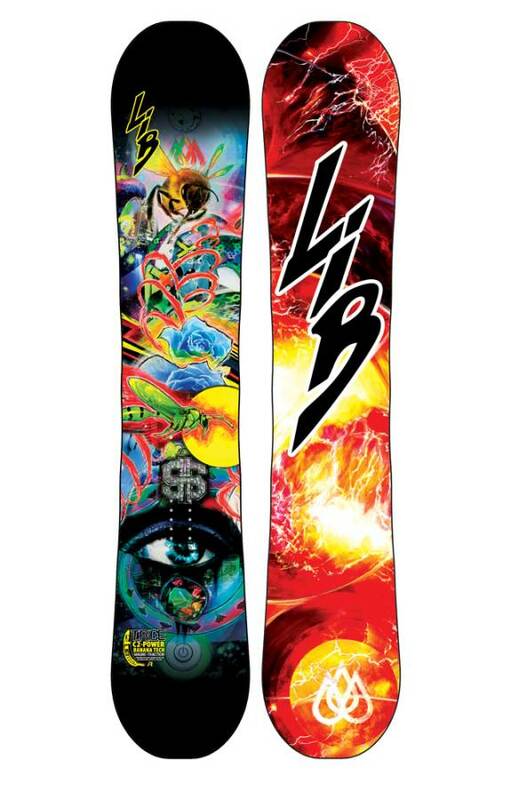 So the 2014 and 2015 Lib Tech Travis Rice Pro expanded their sizing and the line can offer regular to mid/wide footed riders who want a smaller board to ride big. Just to reiterate…..All these boards ride big for their size. It seems like every year I end up riding the 157 which is much more geared towards a mid/wide foot. Instead, I’d rather ride the 153 with the 25.3cm waist that is more suited to my size 9 boots. 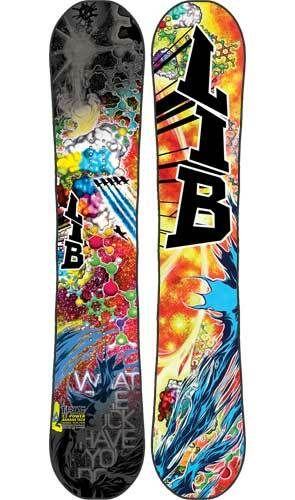 With these boards factor in the blunting when you are picking your size. You don’t always do this with a blunted board but these freestyle boards ride bigger and stronger so think of each board as a board a few cms bigger. Jimbo is a 10.5 and Kyle an 11 have a more appropriate shoe size for this board than I do. On Snow Feel: This is one of the most aggressive hybrid rocker boards we have tried and it offers a very stable ride between the feet for this camber profile. The shallow sidecut and stiffer flex give this board a different personality than most small freestyle boards that isn’t for everyone. This is all about higher speed regular or switch and not turning much. The T.Rice just doesn’t like to turn and makes you work harder to do so. 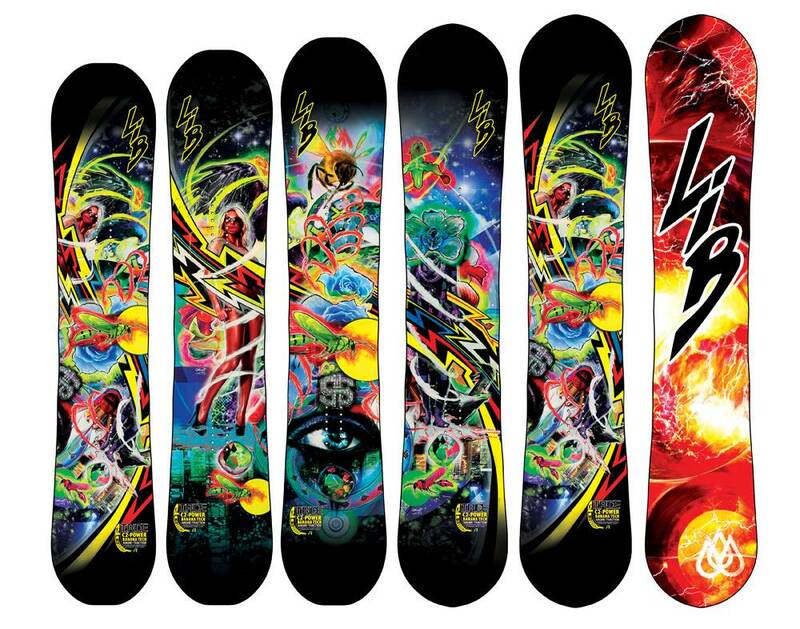 Powder: Now this does as well as other hybrid rocker twins but it’s all about a freestyle approach to the mountain. If you like to set your board back you might find this on the average side. It doesn’t try to sink but it doesn’t have an effortless float either. And since you are going to be riding something a little smaller than your normal size it’s not super floaty. 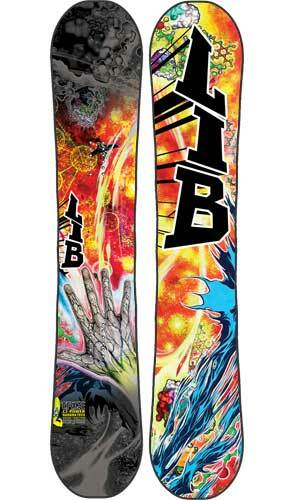 If you ride switch a lot in powder you might find this to be good in powder but many other twins with hybrid rocker or rocker could offer a more effortless float. It’s more about getting a good plane going above the snow. The thicker the Powder gets the more you will find this board difficult. If you ride in light fluffy powder it will be fine because you are so damn lucky and it’s so damn easy. Turn Initiation and Carving: For somewhat smaller sizing you get a big surprise. The 157 we rode felt a lot bigger. I’m pretty sure even the smaller boards with narrower waists ride a lot bigger than their size too. This has a really fun carve and its very similar to the Pointy’s but just smaller. You can really lay into a carve and it doesn’t wash out. It’s missing that camber or mostly camber massive spring out of the turn but there is just enough to make it pretty fun. Short radius turns just aren’t that quick even with our bigger footed riders. The board likes to go straight better. Medium to Wider radius turns has a nice heavy momentum building feel and make you want to carve. Speed: Again the same theme here too. The board rides fast for its size and it’s very stable for a hybrid rocker profile. It’s base glides well and holds speed well through the flats. It’s not as fast as the pointy models but if you handicap it according to size it is. It’s just a slightly softer shade of great than the Pointy. Uneven Terrain: The board is pretty stiff and great at high speeds but it’s not that great if you are on a chewed up day where moguls are emerging everywhere and it starts to look like the early 80’s. Edge Hold: The Travis Rice Pro Blunt really grabs the snow and it’s a great board for those that ride in icy conditions. Flex: Not a very easy board to butter and play around unless you are a strong rider. Switch: The same either way. Jibbing: Not really the best jib board but you can have an ok time if you like a stiffer board in the jib park. For us, it just wasn’t there. Pipe: Really solid in the pipe and it just makes pipe riding easier. Now I didn’t feel that way with the 157 but I’m almost 100% sure that I’d be very very happy on the 153 instead. Usually, boards that are camber dominant please the more technical riders out there but this board will make most riders pretty happy in the pipe. It carves well up the wall and is easy to throw around once you leave the coping. It’s also just fun to carve the walls. The Travis Rice Pro Blunt is a great pipe board for less accomplished riders as well. Jumps: Very easy to spin and pretty springy when it comes to an Ollie. There is pretty good pop here and it also has a nice stable approach to a kicker. It excels with bigger kickers and a stronger rider but it’s not that bad either on smaller kickers as well. So this is a fun board for those that really like an aggressive approach to the mountain or park and it’s one of the least forgiving hybrid rocker boards of this size that we rode. A strong intermediate could for sure handle this board but its sweet spot is more for the advanced to an expert rider that likes to go big with a little less consequence. 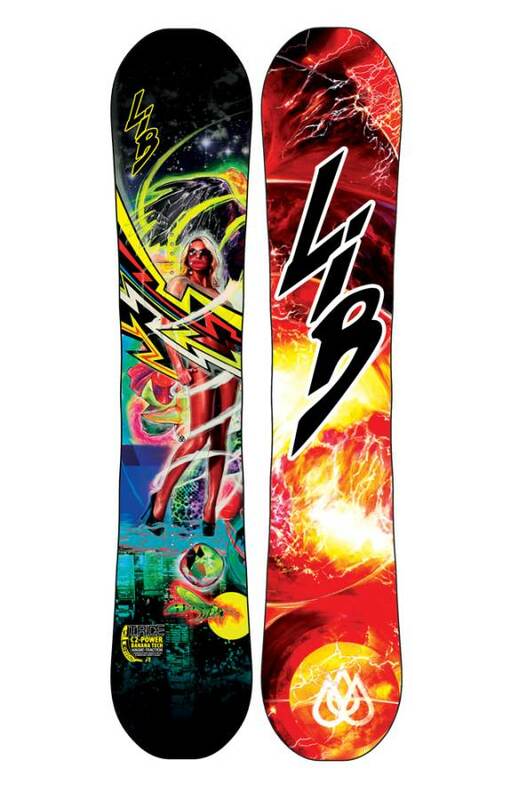 We try to get as many images of the Lib Tech Travis Rice Pro Blunt, but forgive us if they're not all there. As a reference, the similar boards I've rode is GNU Billy Goat, and LIB Skate Banana. This board is awesome and seemed to push my ability to a complete next level in terms of speed and control and this was even in Tahoe's hardpack/icy conditions this season! The Skate Banana is obviously better in park and that the Goat should probably be better in powder but this board will make the elite riders rip the whole mountain while being easy enough for the intermediate rider to progress. Reviews seems very accurate! The Good Ride is spot on with their review of this board. I personally LOVE it for what I do on the mountain. I ride a lot of freestyle and boarder cross type stuff with my friends. We ride at high speeds and I could not be happier with how the TRice performs. Tons of pop, holds edge great at high speeds and turns on a dime, super responsive and and forgiving for strong riders. I would highly recommend this board to anyone who wants a killer all mountain board.